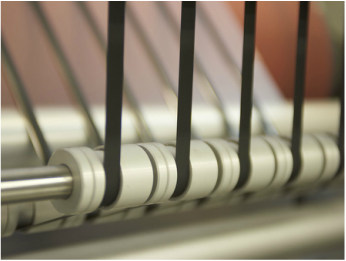 Cardel offers high precision application of magnetics to overlay. We use only premium quality PVC overlay suitable for quality bank, credit and all ISO cards with magnetic stripes. Offering PVC substrate in 40, 50, 60, 80 and 100 micron gauges - uncoated or coated overlay (providing excellent lamination adhesion for bleed edge cards). Flush bonded magnetic stripes in 300Oe, 2750Oe and 4000Oe (ISO & high readback).